734 Polish children and 103 adults came to New Zealand as refugees during the Second World War. 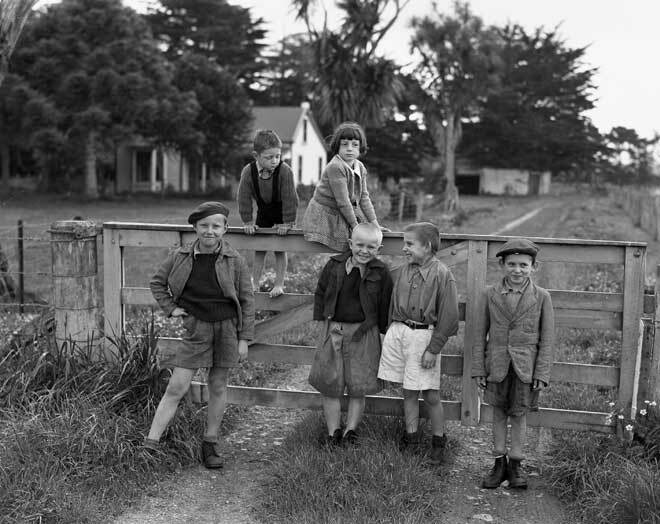 Four Polish boys are shown standing in front of a gate at the refugee camp at Pahīatua, with two New Zealand youngsters on top of it. Many of the refugee children stayed on in the new country, swelling the existing small Polish community. Polish immigrants had trickled into New Zealand from the 1860s, forming distinct communities in both the North and South islands. Polish Jewish refugees had arrived in the 1930s, and more came in the years immediately after the Second World War. The Cold War slowed Polish emigration to a halt, but there was another small wave in the 1980s and 1990s.